The 2019 Oregon Clover Annual Meeting will be held February 6, 2019 at the Wilsonville Holiday Inn. 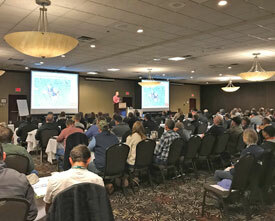 The Oregon Clover Annual Meeting was held February 7, 2018 at the Holiday Inn in Wilsonville. 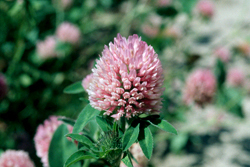 Topics included using clovers in the Southern United States for forage and cover crop mixtures, casebearer moth update, clover seed pollinator protection protocol, market report and what to expect with the legislature's session. A luncheon was provided by meeting sponsors. Click here to view the 2018 Annual Meeting program. 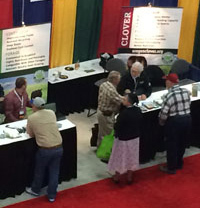 Visit with representatives of the Oregon Clover Commission as well as cover crop experts at the 2018 Commodity Classic in Anaheim. Oregon Clover publications and give aways will be at Booth #973.